I’ve had the Spirit Animal Blog Award on my back-burner since May while I faffed about with perfected my Tibet series. Apologies Marcia! Anyway, here it is now, though, as is my wont, I haven’t quite stuck to all the rules. 1.) Thank the blogger who nominated you and link back to their page. Marcia Strykowski is a children’s author and librarian, but she blogs about all sorts of other things too – art, history, music and travel. Sometimes they combine – my favourite recent post is Girls Reading Books, a collection of artworks of (you’ve guessed) girls reading books. So many thanks to Marcia for choosing me, and please check out her blog. 2.) Post the award on your blog. Done! 3.) Write a short paragraph about yourself and what your blog means to you. I don’t want to write too much here because I’ve answered similar questions before. I’m a retired librarian and used to be responsible for buying children’s books, so you can see where Marcia and I find things in common. Basically, my blog serves as my travel diary. I want to look back when I’m 100 (why not have ambition?) and relive my adventures. Well, maybe not the Tibet one. 4.) If you could be an animal, what would it be? Although I would say I’m an animal lover, I’ve only had four pets in my life. Would you like to hear about them? Well, you’re going to anyway! 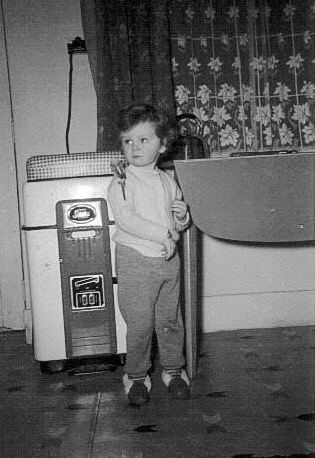 This is me, aged two. Look carefully on my shoulder and you will see Boris the Budgie. Don’t ask me why he was called Boris, he came already named. A few years later, he fell off his perch and we buried him in a shoebox in the garden. It was my first experience of death and I found the idea of burial very puzzling. Would I like to be a budgie? No, too bird-brained. 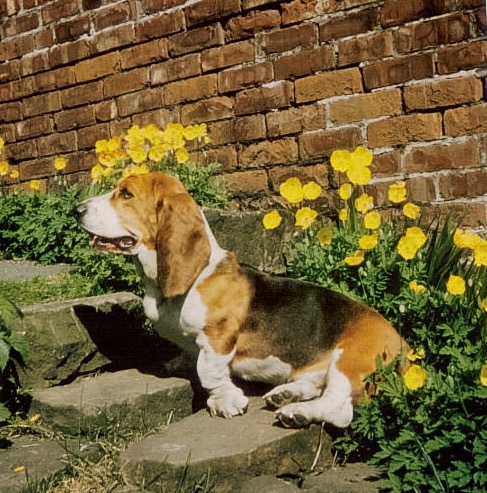 Fast forward a few years, almost a decade probably, and we got a dog, Mandy, a beautiful Basset Hound. Beautiful, but daft as a brush. Would I like to be a dog? No, too many walkies in the rain. John and I have had two cats, Purdy (grey and white) and Sally (the black one). Cats are fascinating. Their brains are the size of walnuts yet can produce towering – and very different – personalities. There are tales to be told about both these cats! Maybe someday. When Sally died we decided not to replace her to leave us more free for travelling. I sometimes regret that, but eight years later we’re still holding firm. Would I like to be a cat? I think so! You know the saying, dogs have owners but cats have staff. I would be happy lolling around in the sun or on a comfy bed with a tame human to cater to my every need. Travels with Choppy. Choppy the dog is the star but she has recently acquired a feline sidekick, Schooner. You won’t believe the things they get up to! Sarah, their human, has a fertile imagination. Zombie Flamingos. Great title! Emily lives in Victoria, BC, and blogs about all sorts of things. However, rarely does a post end without the most important thing of all: pictures of her kitties. Brian, Ardbeg and Lily. I don’t have a dog, and don’t intend to get one, so why do I enjoy Alex’s blog about living with, and training, rescue dogs so much? The pictures, yes, but there’s also a lot of wisdom in it. Turns out getting the best from dogs can be very similar to getting the best from people. So those are my answers. They’ve been fun to write because this is so different from my normal posts. Thanks once again to Marcia for the nomination. Some time ago (ahem, over two months) Celine at Down the Rabbit Hole nominated me for a “day in the life” challenge – taking a photo every so often throughout the day and blogging about it. Now, Celine’s post documented a day in the South of France so I’ve given up waiting for something to compete with that – however, yesterday was a little bit special so I’ve decided to go for it. Rest assured, although there is some fairly routine stuff in this post, I’ve omitted the dullest parts of my day (believe it or not) – you don’t want to read about me doing laundry, do you? 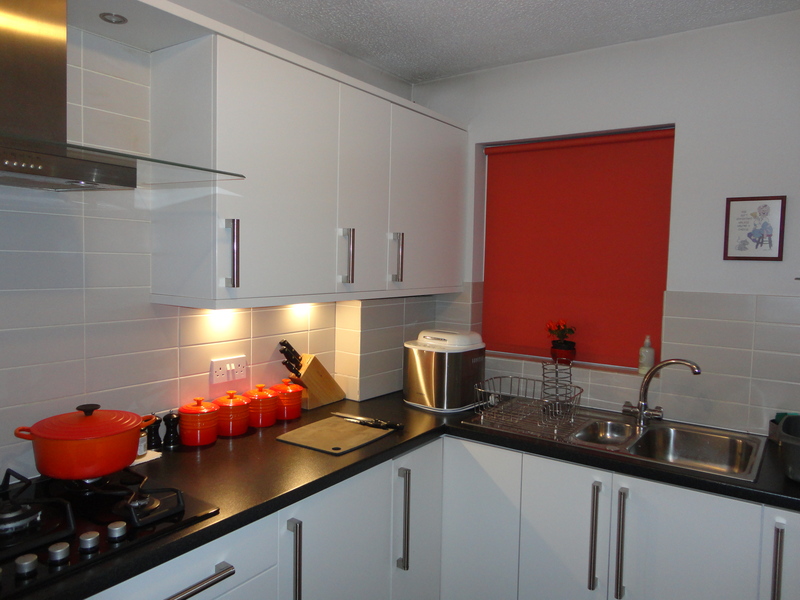 So this is where my day begins – the kitchen. First thing in the morning is the only time it’s tidy enough to photograph! As a retired lady, I try to avoid anything which starts before 10am so it falls to me to make the breakfast for the working half of the partnership. It’s a late 20th-century mix of flats (which you can see) and terraced houses (which we live in). However, turning the corner, everything becomes more grand – although many of the houses are now multi-occupancy, they are still imposing. This is Kelvinside. Broomhill has lots of trees and green space, and a nice little row of shops. I have my haircut and a coffee in a nearby café in which I am almost alone. So here’s a before and after. Can you tell the difference? Not really, it’s just tidier. In the third picture, I’ve had my lunch, showered and dressed, all ready to go – where? Let’s find out! I set off again on foot, this time through the Botanic Gardens. There’s some lovely autumn colouring there. 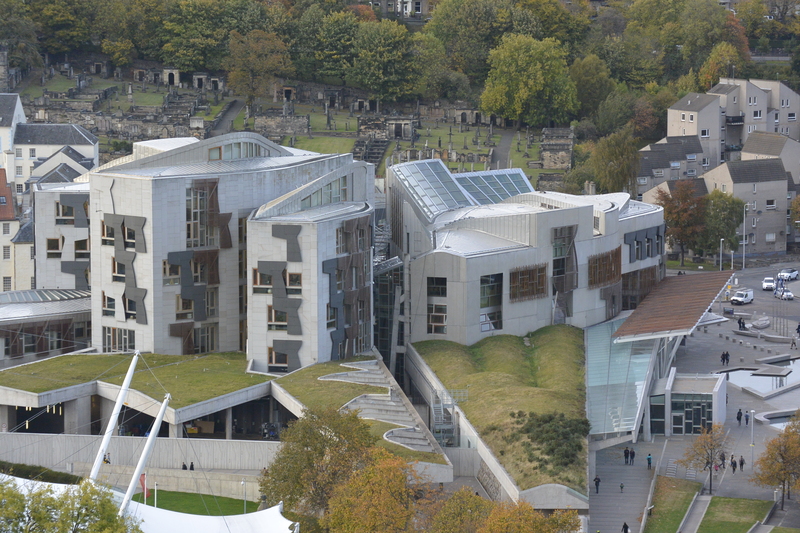 I travel by Subway to Queen Street Station, meet two friends from Glasgow Women’s Library and take the train to Edinburgh – destination Scottish Parliament! This photo is a cheat – one I prepared earlier. It’s dark when we get there and we’re certainly not going to climb Salisbury Crags to get this view. So why are we here? Some might remember my earlier post about the Women’s Library nominating Glasgow’s Suffragette Oak to be Scotland’s Tree of the Year. We reached the final, and tonight we’ll find out if we’ve won. The evening starts with drinks and canapés, then a few speeches followed by the prizegiving. The six finalists are read out in reverse order – every time it’s not us, we glance at each other. When we get to second – it’s still not us! We’ve won! We stagger back to the train with the trophy, certificate and rolled up banner. I make it home about 10pm eager to tell John all about it. Thanks to any blog readers who voted for our tree. Once again, thanks to Celine for nominating me for this challenge. Please visit her at Down the Rabbit Hole if you haven’t already done so. As is my usual habit, I’m not going to pass the challenge on but if you think it’s a good idea, please consider yourself nominated. I’d like to think that the Suffragettes who watched it being planted in 1918 would be delighted that it’s now Scotland’s Tree of the Year. 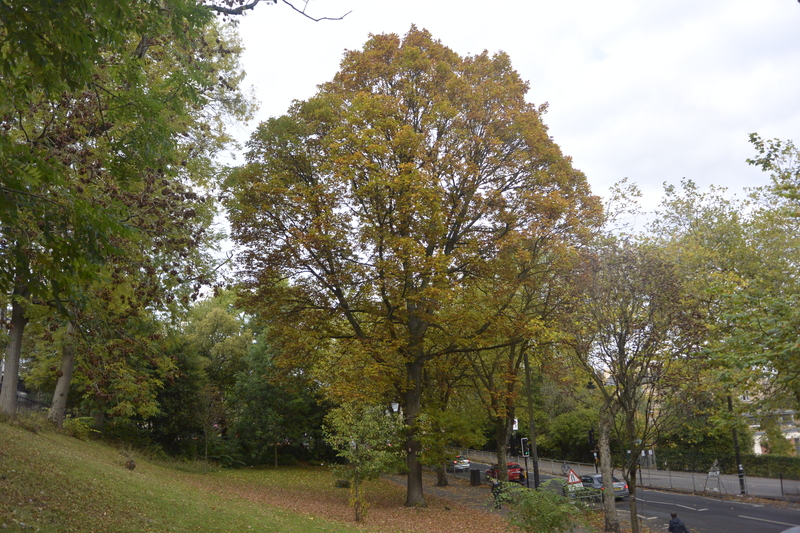 Next stop, European Tree of the Year in February…. I subscribe to Anu Garg’s A.Word.A.Day email – every day a new word defined with examples of usage and a (usually unrelated) quote at the end. This one jumped out at me on 15th June. Why? A couple of weeks before, on 31st May, my dear Dad died and I hoped the quote was true. I wanted to pay tribute to him on this blog somehow, and La Sabrosona‘s challenge allows me to do that. Dad would have been 86 on July 3rd and had been a minister and a preacher for over 60 years. 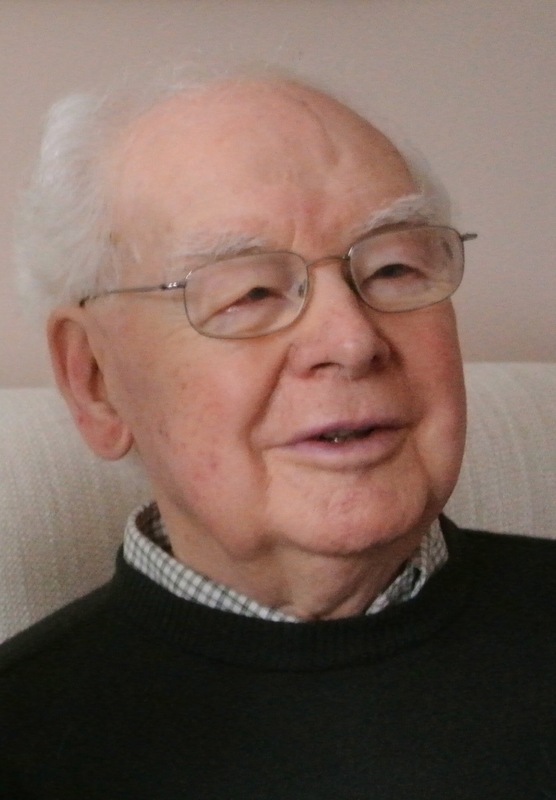 When he gave up preaching a few years ago I started a blog with him, and to mark his birthday I posted his obituary, as written by his friend and colleague Wes Blakey. If you want to know more, head over to John Mitchell – called and sent. But this IS a travel blog, so I thought I’d celebrate Dad’s life with some childhood photos of us having fun at the seaside and in the country. I’m the big sister. And check out our Harry Potter-style Ford Anglia! I can still remember its registration, 823 LPP. So thank you once again to La Sabrosona for her nomination. I find that these challenges can be valuable if they make you think. They can encourage you to post something you wouldn’t normally write about, or maybe to tackle a subject from a slightly different angle. However, as before, I’m not passing the nomination on to specific bloggers although I encourage anyone who has quotes to share to take part. You are all stars! 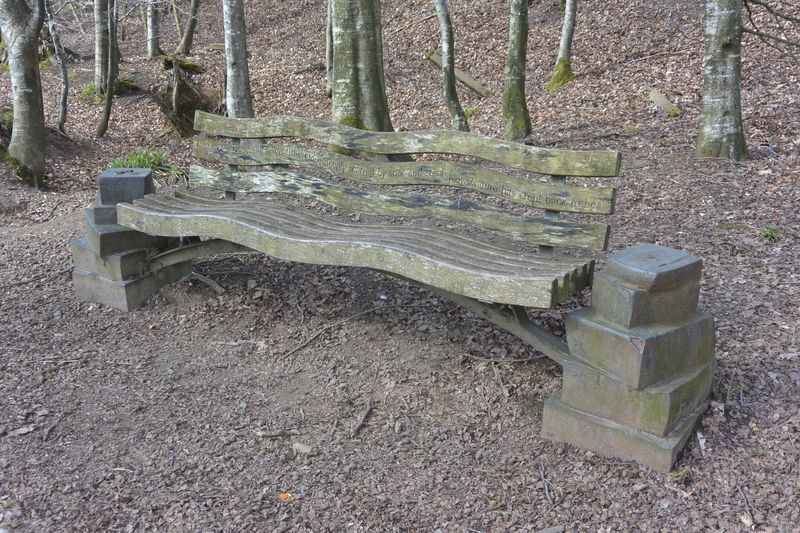 These lovely words run along the back of this unusual bench which sits alongside the River Earn near Crieff. (The path goes through a beautiful avenue of trees, parallel to an old railway embankment.) I’ve chosen them as my first entry in the 3 Day Quote Challenge. What is that, I hear you cry? Quite simple! Post a quote for three consecutive days (one down, two to go). Thank the person who nominated you. With pleasure! Thanks to La Sabrosona of my spanglish familia – laugh and cry, as I do, with her tales of a Mexican / Canadian family bilingual in Spanish and English. Pass the challenge on to three more people. Hmm, as has been my recent practice, I’ll skip this bit and just say you are all nominated if you have quotes you want to share. We found more benches by the river (this one has an inscription about salmon leaping), and a sort of fairy house in a tree trunk! I do believe I can enter this post in two more challenges! Jo’s Monday Walks and Jude’s Bench Series, which in July is looking for benches with unusual details. Bingo! Click on both links to see what other bloggers have been up to this week. I’m killing two birds with one stone here. First of all, I’ve decided to sign up for the Post A to Z Challenge Road Trip. This just means that I continue to explore the blogs on the list, but at a more leisurely pace than during the challenge itself. I’m wary of committing myself to targets but maybe, just maybe, I could visit a few new blogs each week and occasionally give shout-outs to my favourite discoveries. You will note the vagueness of all those terms! My first discovery is beautiful flower photographs on Letters from the Land of Cherry Blossoms. When did you last feel courageous? Describe the circumstances and if/how it changed you, even if it impacted you just a little. I’m going to relate these questions to travel where I can, so I’ll take this as physical courage. I think the most courageous travel feat I’ve achieved is climbing Mount Kinabalu a few years ago. One day, a full account will appear on this blog. How did it change me? It made me determined never to do anything as daft again! Sweet or savoury – and why? Bonus Points for sharing your favourite recipe. Savoury, definitely. I’m fond of chocolate, and I do eat desserts sometimes, but I’d almost always choose two savoury courses over a savoury and a sweet. Mind you, often I’ve eaten so much by the time I get to the sweet course that I couldn’t fit any more in anyway! When traveling, we always like to try out local food – the spicier the better. When did you first begin blogging? Which early post (or posts) would you most want people to read? In 2007/8 I started a children’s literature blog which was aimed at students going on placement (I was then a librarian in a Faculty which educated teachers). I wanted them to know about new authors because it seemed to me they were taking books into school from their own childhoods, their lecturers’ childhoods or even my childhood! The blog still exists, but it’s mainly noted for tumbleweed these days so I’m not going to recommend you go off and read it. This travel blog has been going since 2011. Create your very own word, complete with definition, and use it in a sentence. I like accidental words that rhyme. The child who told her parents she was making them the gift of a wasterpaster at school (turned out to be a waste-paper basket). The politician in our recent election who invented the word fundilymundily (he meant to say fundamentally – I think). How can I compete with those? I’m trying to think of a travel word and failing dismally. Anybody help? I’ve been invited to take part in the “Five Photos, Five Stories” challenge by Jude of Travel Words. The challenge is quite simply to “post a photo each day for five consecutive days and attach a story to the photo. It can be fiction or non-fiction, a poem or a short paragraph and each day nominate another blogger for the challenge”. Blackwell – who lived there? Blackwell is a beautiful Arts and Crafts house which was completed in 1901 as a holiday home for Sir Edward Holt, a wealthy brewer who was twice Lord Mayor of Manchester, his wife Elizabeth, and their five children. (No doubt it would not be much of a holiday home for the six or seven servants required to look after them!) 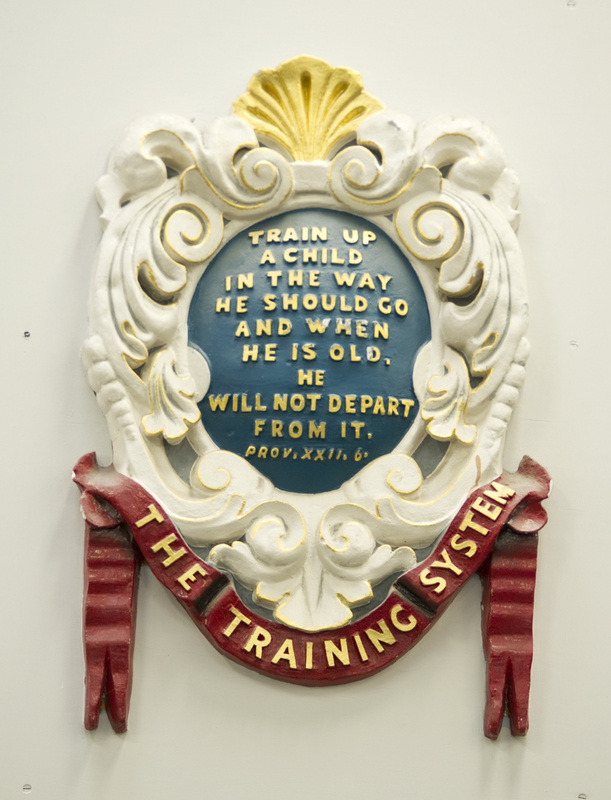 After their eldest son died in the First World War, the Holts used Blackwell less and less and, like some of the other properties I’ve written about, it has had a variety of uses – for example, during the Second World War it became a school. 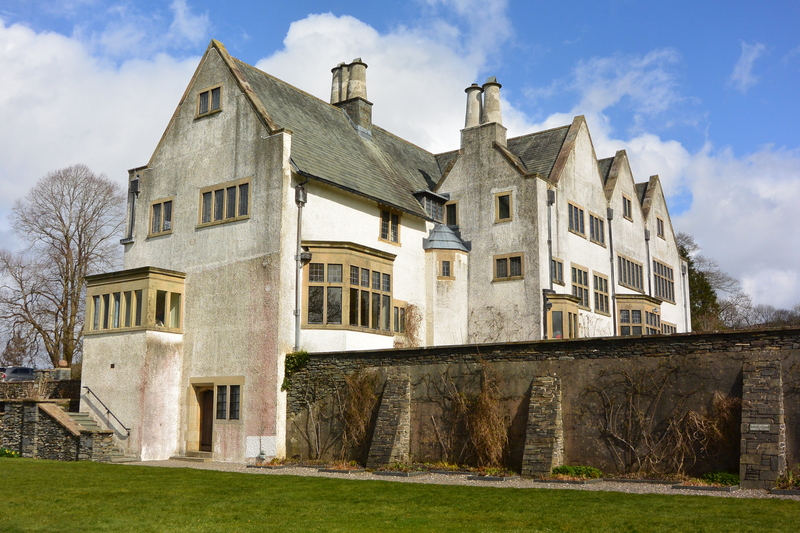 It’s the only one of my five houses not to be owned by the National Trust – it was bought by the Lakeland Arts Trust in 1999 and opened to the public two years later. I’ve been here several times (the great café is an added attraction) and it reminds me very much of Charles Rennie Mackintosh’s Hill House in Helensburgh. Perhaps I’ll give you a peek at the interiors another time…. So that’s the last of my Lake District houses – Sizergh, Townend, Allan Bank, Wray and now Blackwell. Which is my favourite? Aesthetically, it has to be Blackwell, but to get a real sense of the people who lived there I would vote for the modest little farmhouse, Townend. Which would you like to visit? For the final day I’m featuring Helen of Travels With Benches who has recently started blogging to document her walk along the Pennine Way. I so admire that! And of course, last but not least, Jude herself who nominated me for this challenge. Her link has been at the top of every post so you might already have investigated Travel Words – but she has another blog of beautiful flowers and gardens The Earth Laughs in Flowers. Jude also runs a monthly Bench Challenge which, given Helen’s title, she might be interested in. On that note of blogging matchmaking I end my Five Photos, Five Stories challenge! Many thanks, Jude, I’ve enjoyed it. 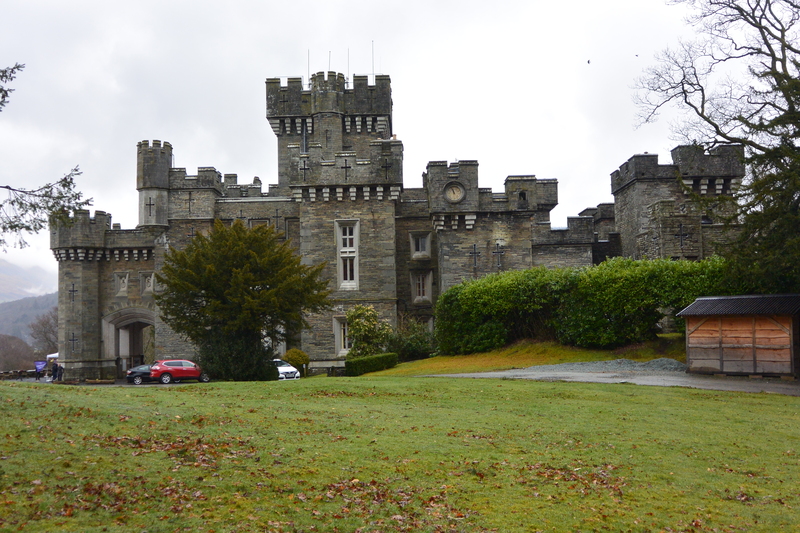 Wray Castle – who lived there? This neo-Gothic pile, believe it or not, was built in the 1830s as a retirement home for just two people, James and Margaret Dawson, a wealthy couple from Liverpool – and their army of servants, of course. Although very different from Allan Bank, Wray Castle has several things in common with it – famous tenants (after the Dawsons died it became a holiday let and was rented by Beatrix Potter’s family); acquisition by the National Trust (1929) followed by a chequered pattern of use; and being opened to the public without contents or period decoration. My favourite part was the old servants’ quarters where I learned that the laurel hedge outside was built to screen the formal lawns so that James and Margaret and their guests could not be seen by mere servants, and the windows in the maidservants’ bedrooms were originally only 3 or 4 inches wide for the same reason. I don’t think I’d have liked James and Margaret very much. As before, if you’d like to do 5 Photos 5 Stories let me know in the comments and I’ll give you an “official” nomination. I’m continuing to feature other British-based bloggers instead of nominations: two today, both newish and both writing about Scotland. Paul at Through the Lens seems to visit the same places that I do. One of these days, we’ll walk past each other. Maybe we already have! The same goes for Scott at Great Glasgow Architecture – if I ever do another A-Z Challenge on Glasgow his posts will be a source of inspiration.